Garden roses are stunning in my opinion and come in so many different colors, textures, and heights. Some with billowy cupped flowerheads others are compact, some are endless climbers, and some carry their beautiful flowers on long stems. But whatever type of rose you are drawn to, they each are magnificent and elegant. 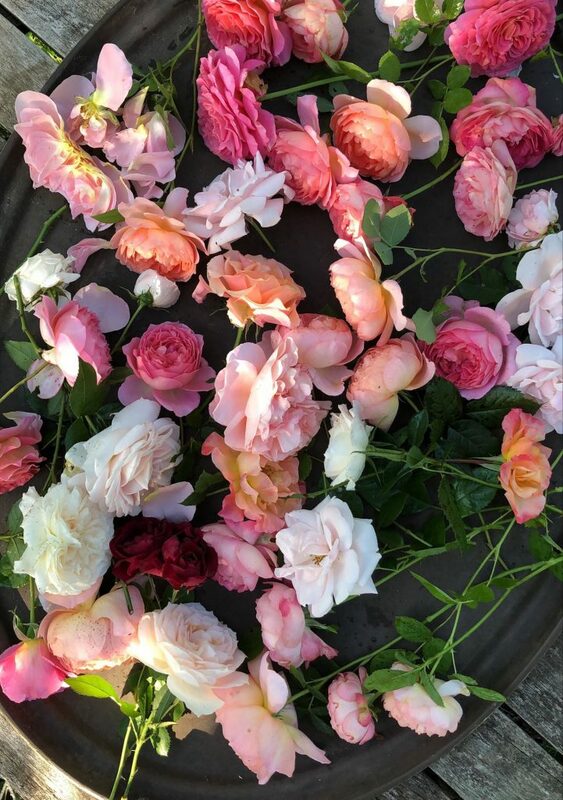 I especially like the antique variety roses although they only bloom once their delicate old world charm blossoms emit the gorgeous scents which many master perfumers have derived some of their most beautiful creations. Roses remind me of a well-turned-out woman, classic and sophisticated, demanding attention for her natural beauty. A rose in the garden can do that. Seduce me at the very sight of her. 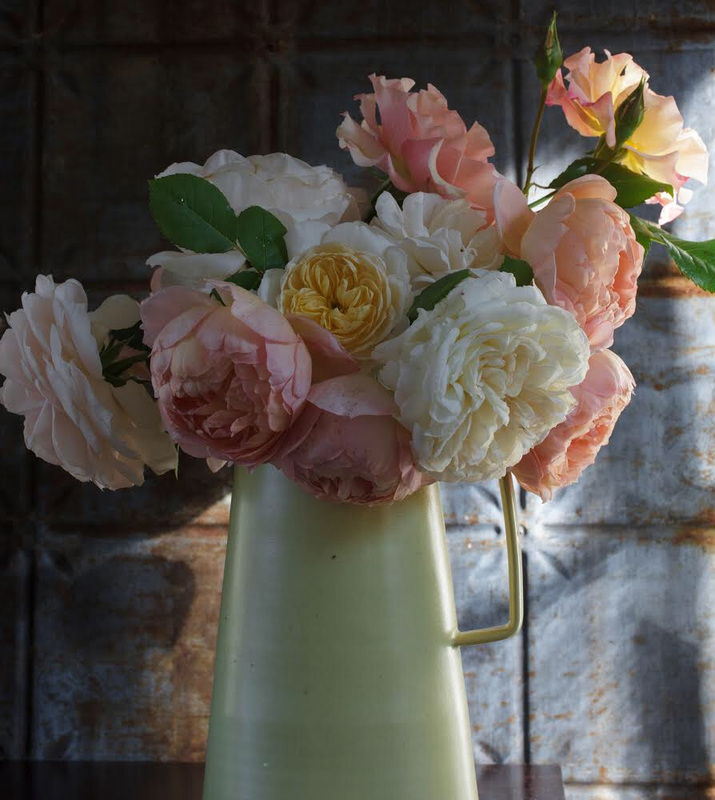 Now, let’s get on with a few tips before I share my list of 10 favorite cutting roses. I like to pair roses with other plants which complement them. In the spring, I underplant with spring-blooming bulbs and pansies; for a summer and fall show, I interplant with perennials. Overplanting not only creates an interest in the garden to draw the eye in but a dense garden helps to create a sustainable ecosystem. Roses like to receive at least six or more hours of sunlight, and they want a well-drained soil. I water them once a week unless the leaves begin to curl in which is a sign they need water. I recommend adding plenty of organic matter when planting, and this precisely is what allows me to only water once a week. Mulching retains the moisture during times of drought. Every morning I deadhead with sharp shears. If your not familiar with the term deadheading all it is is cutting off all the dead rose blooms. Be alert for pest and disease problems in the morning too. I started growing roses when I first began gardening with little success, most likely because they require daily attention I wasn’t inclined to provide them. Back then it also seemed that roses were real finicky and needed spraying with chemicals I just wasn’t prepared to introduce in my garden. But things are different today, and honestly, there hasn’t been a better time to grow roses! This enthusiasm is all due to one breeder, David Austin. 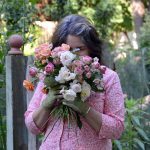 David Austin has made it his mission to create roses that are both beautiful, disease resistant, and long-lasting in the garden. They are bred especially to be showstoppers and perform beautifully for the average gardener with relatively low maintenance requirements. How is this possible you may ask? Well, David Austin managed to reproduce the desirable old world charm of roses from eras past with newer more resilient varieties back in the 70’s all while keeping their delightful fragrances, which had been lost in roses bred for export. His roses are suitable for gardens and floristry. What more can we ask for? Plant roses at any time of the year other than winter. If you are planting in the spring or heat of the summer, or the fall I can’t stress the importance of watering them in. Any plant for that matter needs to be watered the first year thoroughly. After your rose plants’ first season they do not require constant watering. In fact, if you overwater you encourage black spot and other diseases. I water once a week, while I drink my morning cup of coffee early in the morning. If it’s been too hot and I notice the leaves curling I’ll give them a good drink trying not to wet the leaves if it’s late in the evening. A wet and soggy plant encourages disease. Keep their root temperature stabilized in the summer and avoid erosion in the winter by adding mulch. Mulch keeps spore-laden water from sprinkling back onto the leaves, controls weeds, and as it decomposes replenishes the organisms in the soil. 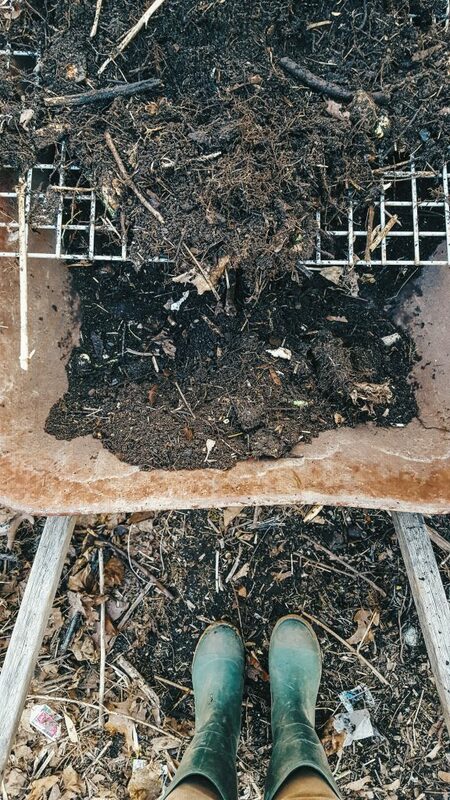 I mulch roses with whatever I can get my hands on. But I prefer hay as I feel it is soft and looks nicer. If you haven’t read my previous blog posts on soil preparation, please start here as this is the essential aspect to growing roses or any other garden plant for that matter. 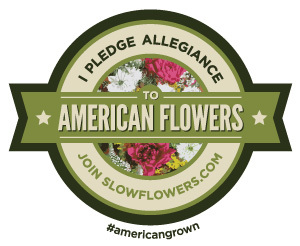 I follow the direction on the package of the David Austin fertilizer once a month during the growth cycle, and once a month of a seaweed foliage spray. Both available at a good nursery. I stop generally feeding mid-August. In other words, the roses are fed every two weeks from April to August. These girls have a robust appetite! Buy from any good nursery and or an online source such as David Austin Roses, Weeks, Kordes or Antique Emporium these all are great rose growers that specialize in bringing the end consumer beautiful roses. Most likely the roses they carry are hearty for your zone. Don’t skimp when buying roses, in other words, don’t buy them from a supermarket or stores like those. Tip: If you wait till the end of the season, like August or September and they still have roses, buy them then. I consider this a significant SCORE! As a gardener, I never liked using chemicals on any of my plants, but it seemed that you couldn’t grow roses without dousing them with one or the other. I learned that by using chemicals, they destroy the natural rhythmic balance found in our garden ecosystem. Which means if you kill one species then others take over and create an unbalanced eco-system. My goal when I garden is to act as a conduit which allows and encourages all my plants to exist in the most natural state. Ok now for the truth! I made plenty of mistakes and lost a few numbers of plants along the way, but it is because of my mistakes and my perseverance that I can look back and recognize the great success I now have in my garden today. Where do I plant my roses? I plant my roses where they get at least six hours of direct sunlight a day. Though there are some that tolerate light shade. Select an open site that receives six or more hours of sun, where there is good air circulation good drainage all these factors help to deter disease. How many roses should you plant? I started with five plants for this garden. Mostly because I wanted to make sure I was committed to taking care of them before I went ahead with my investment. Now I’m up to thirty-something plants. Note, however, that roses need time to establish. Though I’ve been planting each year since I first began five years ago the list below is that of the roses I can now comfortably cut from because the plants are well established. What type of roses should you plant in your cutting garden? It depends on what you are looking to achieve. I like climbers because I cut the stems to use in arrangements. NOT the cane! To me what’s essential for the work I do is color and stem length. Which means I’m always looking for roses that have very soft pale apricoty and blush tones with a good stem length. Rosa ‘Climbing Iceberg’ 1 plant; 12 to 14 feet tall; pure white double flowers; recurrent bloom. Rosa ‘Ballerina’ 2 plants; 3 to 5 feet tall; large single 2-inch clear pink flowers, with white eyes all summer. Rosa ‘Angel Veranda’ 2 plants; 2 to 4 feet tall; upright clusters of the semi-double 1-inch white flower with a creamy yellow center, lightly scented; recurrent bloom; vigorous grower. Rosa ‘Apricot Vigarosa’ 3 plants; 2 to 3 feet tall; 3 1⁄2-inch apricot double flowers; very long-blooming; glossy, disease-resistant foliage on compact bushes. Rosa ‘New Dawn’ 1 plant; 5 to 6 feet tall; clusters of double 3-inch-wide light blush pink flowers; strong fragrance. Rosa ‘Arethus’ 1 plant; 5 to 6 feet tall; fragrant spray apricot flowers; blooms once. Rosa ‘Bishops Darlington’ 2 plants; 4 feet tall; climber, flowers in clusters of soft apricot, fragrant flowers; continuous bloom. Rosa ‘Carding Mill’ 2 plants; 4 feet tall; shrub clusters of deep apricot very fragrant 3-inch double cupped flowers. Rosa ‘Eglantyne’ 2plants; 2 plants; 4 feet tall; shrub, cupped flesh pink flowers in clusters strong fragrance. Rosa ‘Honey Moon’ 2 plants; climber; 9 feet tall; cupped creamy white flowers in clusters strong fragrance. Be sure to share your growing cutting garden with me! 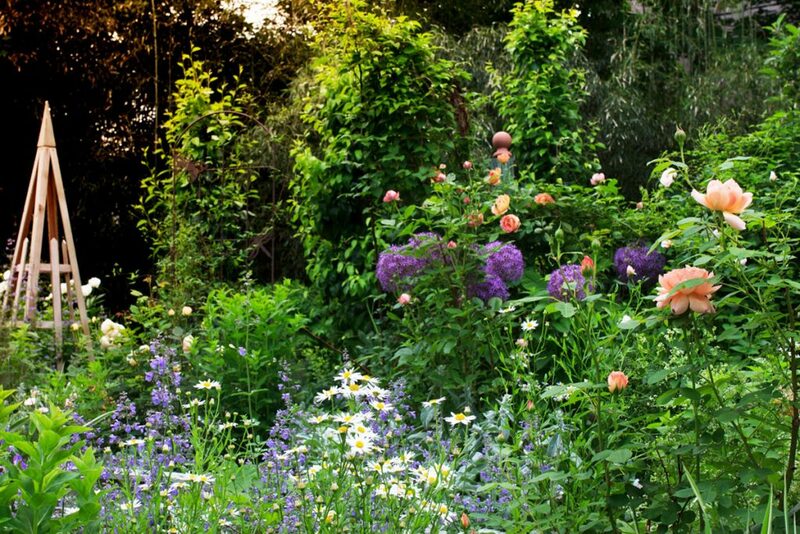 I’d love to know that my advice and suggestions have helped you have the garden of your dreams.